Scalloped hammerhead sharks are the most widely distributed of the hammerheads and can often be seen around the northern islands of Darwin and Wolf. 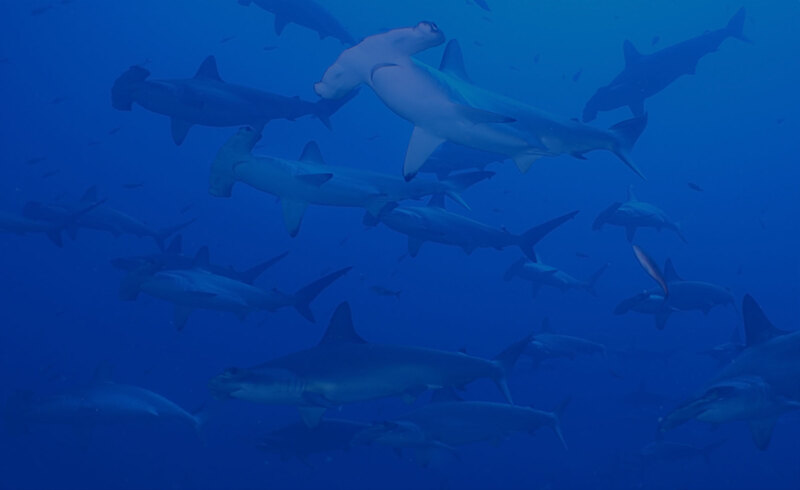 The Galapagos Marine Reserve is one of the few locations in the world where you can still observe scalloped hammerhead sharks gathering together in schools of several hundred. 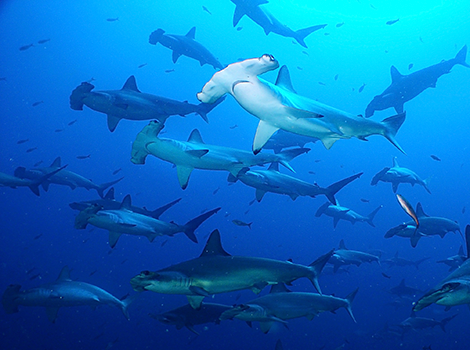 Hammerhead sharks are one of the most recently evolved groups of sharks. Their hammer-shaped head likely evolved for several reasons including improving vision and providing a larger area for the electroreceptors which detect electrical signals, used when hunting on the seabed. Due to human pressures including shark finning and bycatch, the scalloped hammerhead shark has been classified as ‘endangered’.